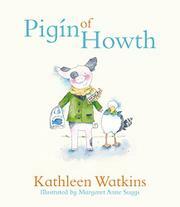 Three adventures of the gentlemanly Irish pig Pigín. In “Pigs Can’t Fly, but They Can Swim,” Pigín gets a swimming lesson from Sammy the seal and his friends. Of course, he sends the seals a thank-you note (so much nicer than a text, he feels), ending the day at the cozy cottage of his friend Nanakit, a white human. “Pigín’s Magical Midnight Adventure” begins with an unexpected call from the Fairy Queen, who has made Pigín a new Dublin jersey. (The old one “was a bit worn.”) This is serendipity, since Pigín and his pal, Badger of Ballsbridge, are going to see the Dubs at their training session. They take a DART train and a bus to get there, cheering on both the football and the hurling teams. After a stop at the local school to watch the children practice with their violins, the day ends with a magical fairy evening. In “A Day to Wear a Top Hat,” Pigín attends the Dublin Horse Show and even meets the president of Ireland, but that’s after a delightful morning of wallowing in the mud. Pigín possesses a winning combination of decorum and joie de vivre, a great role model. Suggs’ illustrations have a suggestion of Beatrix Potter, small and intricate, enhancing the generous text, which is amply surrounded by white space. Irish readers will delight in the regional specificity, while others will come away with a sense of a very distinct culture.